With dozens of themed hotels and casinos, amazing shows, extravagant buffets, and tons of other ways to have fun (often a little too much fun), Vegas has something for almost everyone. But there are also ways to enjoy yourself outside of Vegas; the city is a great starting point for some excellent RV or campervan camping trips. There are several renowned national parks near Las Vegas. 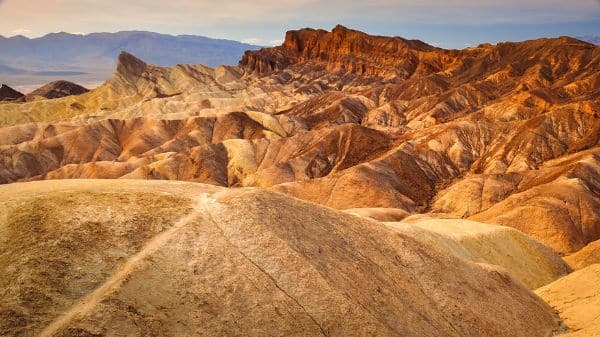 The Grand Canyon and Bryce Canyon National Park are both about four hours away; Zion National Park is about three hours away; and Death Valley is only a two-hour drive from Las Vegas—just to name a few. So, spend a few days in Sin City and then de-sin on the road, all while soaking in some beautiful scenery. Here are some of the best RV and campervan campgrounds near Las Vegas. It should come as no surprise that California has some of the best camping sites in the U.S., if not the world. The Golden State features nine national parks, including the iconic Yosemite; 840 miles of coastline; and wonders such as the world’s tallest trees and the hottest place on the planet. There are dozens of fantastic campervan and RV campgrounds in California, but here are seven of the best. The California Redwoods are some of the most amazing natural wonders in the world, and Redwoods RV Resort, located in Crescent City, offers one of the best ways to see them. The newly-renovated resort is nestled among spruce, hemlock, Douglas fir, and Redwoods, and is situated just minutes from Redwood National and State Parks, Redwood National Forest, Del Norte Coast Redwood State Park, and Jedediah Smith Redwood State Park. The park’s 80 sites have full hookups and 50 amp electric; restrooms, hot showers, and laundry facilities; a playground; and an on-site store. They also provide tent camping, for those who want to get back to basics, and fully-furnished rental cabins, for campers wanting a little more space.